Cardif Lux Vie, a major player in life insurance in Luxembourg, is announcing the appointment of François Lucchini as a member of its Executive Committee as Director of Asset Management. The appointment reflects the importance and strategic role of asset management at Cardif Lux Vie. In 2017 the company had a total €22.2 billion in assets under management, including €8.1 billion in its General Fund (Fonds Général). 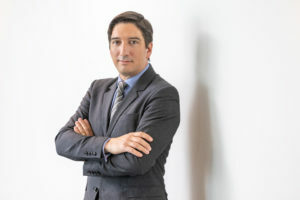 Civil Engineer of ESTP and graduate of the Advanced Master (Mastère Spécialisé®) in Financial Techniques from ESSEC, François Lucchini began his career in 2002 at Nato Vie. In 2005 he joined BNP Paribas Cardif, where he worked in a broad range of asset classes (equity, fixed income, private equity and structured products), developing his generalist skills as part of the management of general funds and collective pension savings. He also brought his expertise to M&A projects and ALM studies. With this background, he joined Cardif Lux Vie in 2012 as Head of Asset Management, tasked with implementing the company’s proprietary asset management platform. He works with a diverse team of asset managers with proficiency across all asset classes.